This 12x12 double sided paper has colorful Images with a 3x4 Journaling Card Format on the frontside. The reverse side as a Green -Tone-on-Tone Dot Pattern. 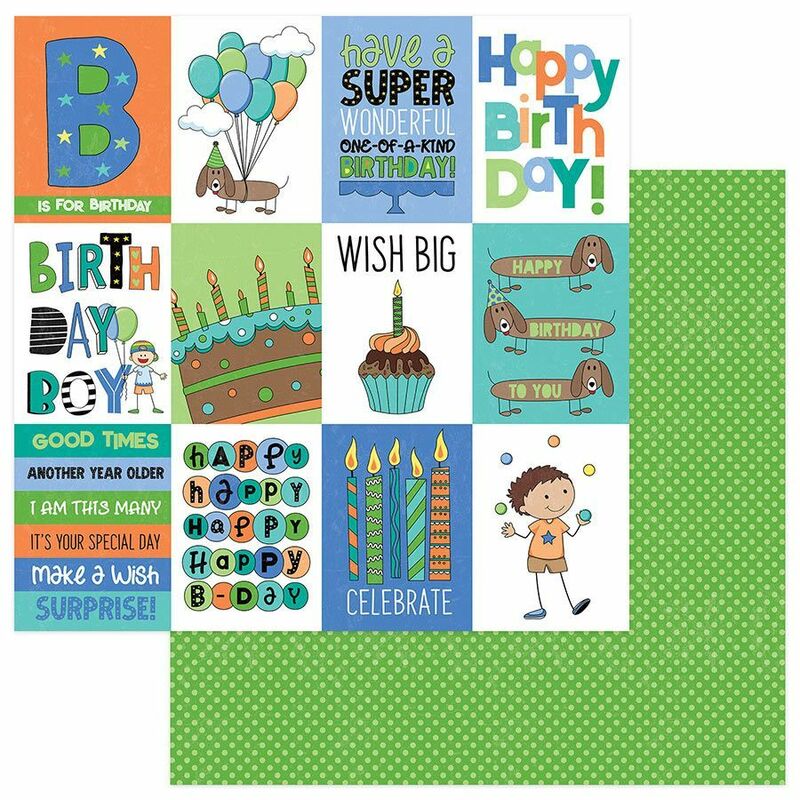 Part of the Birthday Boy Collection by PhotoPlay Papers & designed by Becky Fleck. Look for coordinating Embellishments, Stickers & Designer Papers.